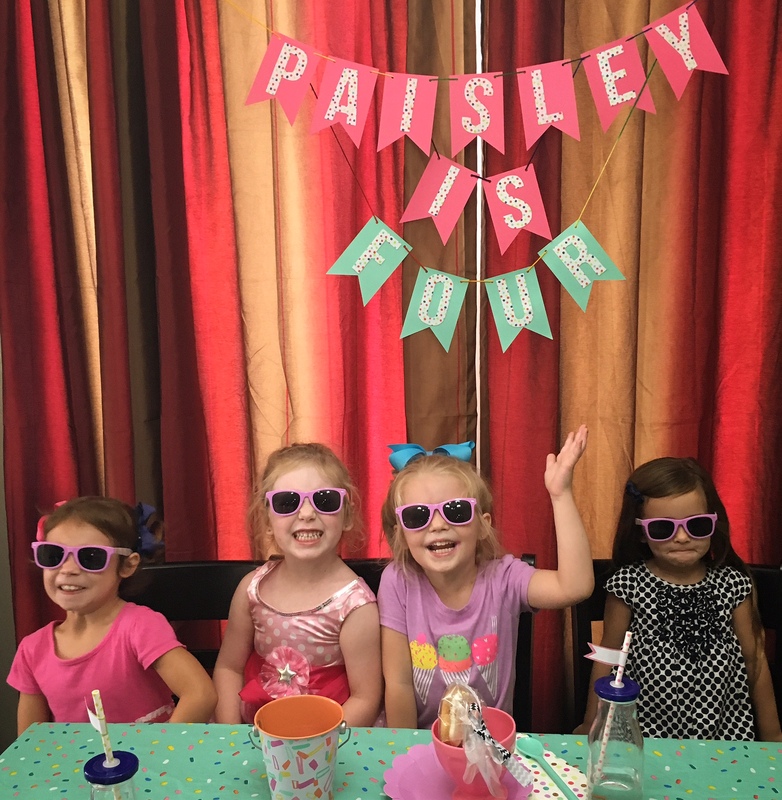 My SWEET girl recently turned FOUR, and she requested an Ice Cream Sundae Bar Party to celebrate her birthday with her preschool friends. 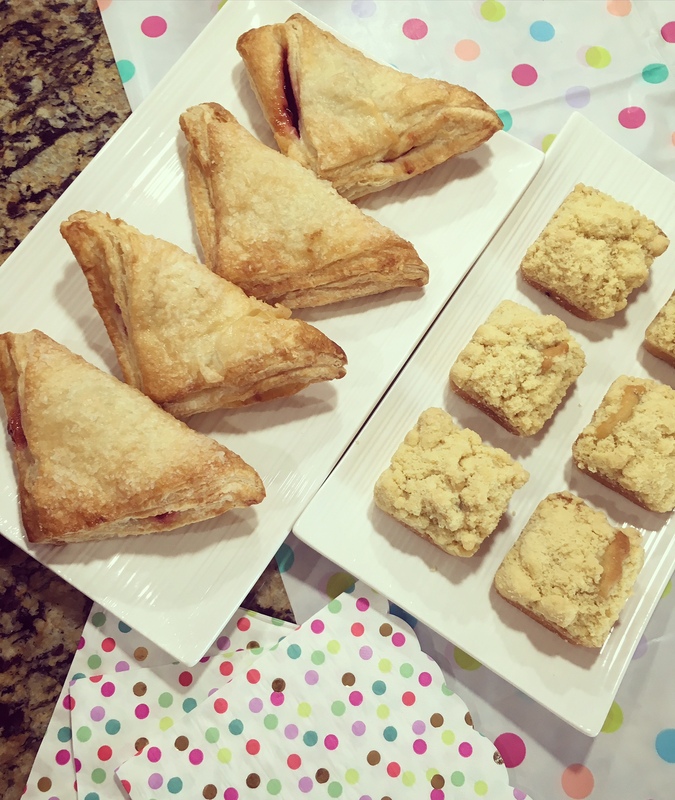 It was a fun, delicious, and easy to pull off kind of party – PERFECT! 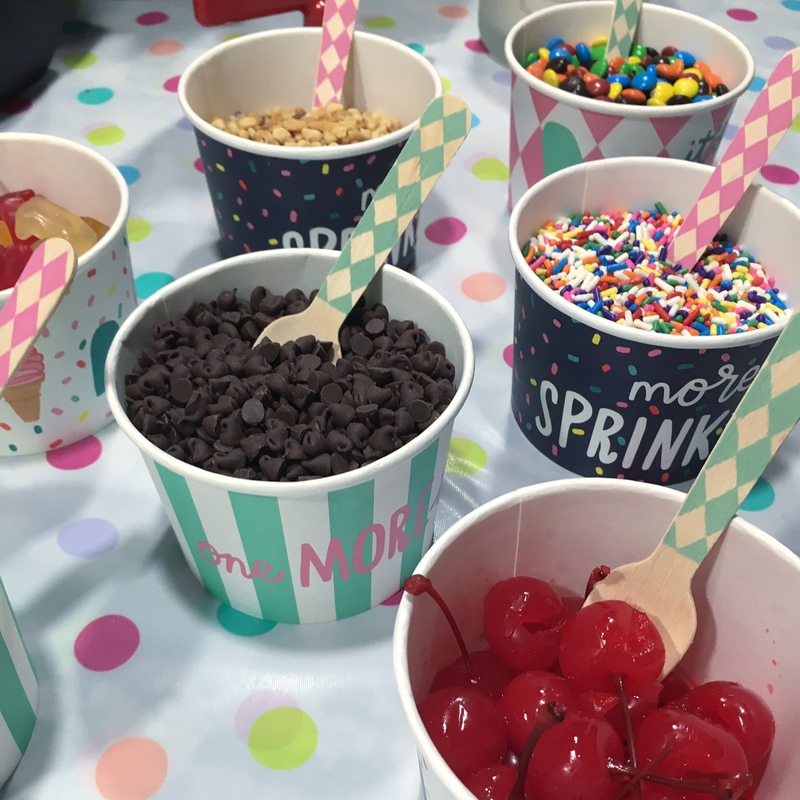 BONUS: I have added a few of my favorite affiliate links to assist you with planning and shopping for your own ice cream sundae party!!! 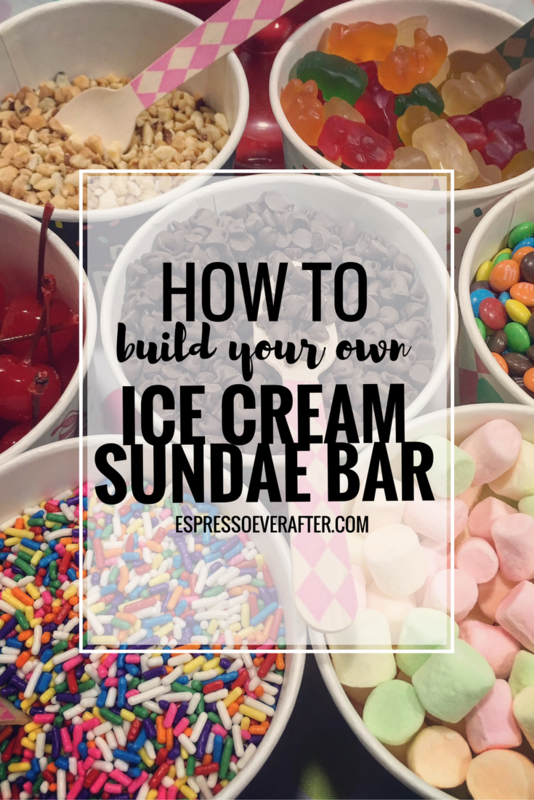 1.BUILD YOUR OWN ICE CREAM SUNDAE BAR: The most important element of an Ice Cream themed Birthday Party is the SUNDAE BAR! 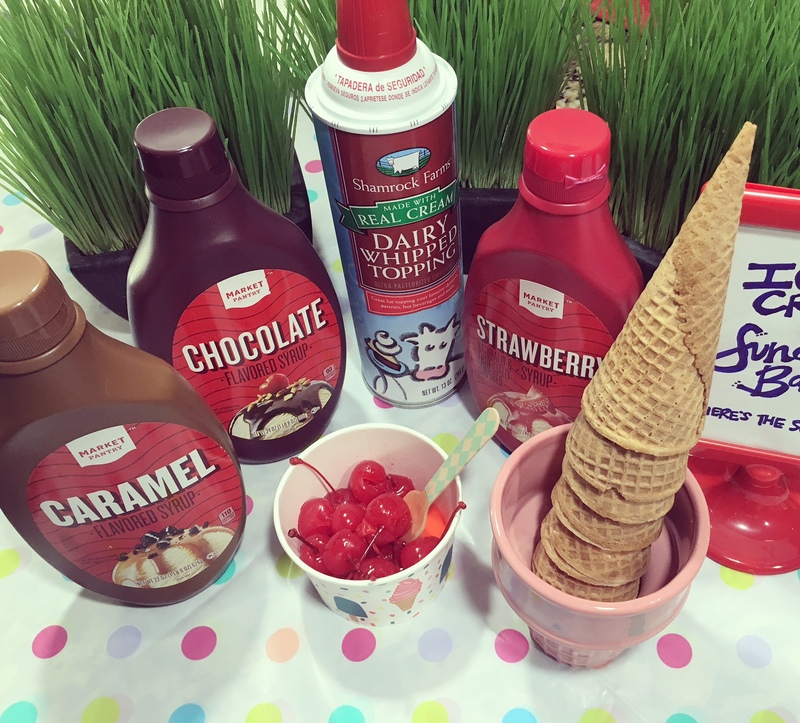 The sky is the limit when it comes to toppings, so have fun and offer all of your favorites! 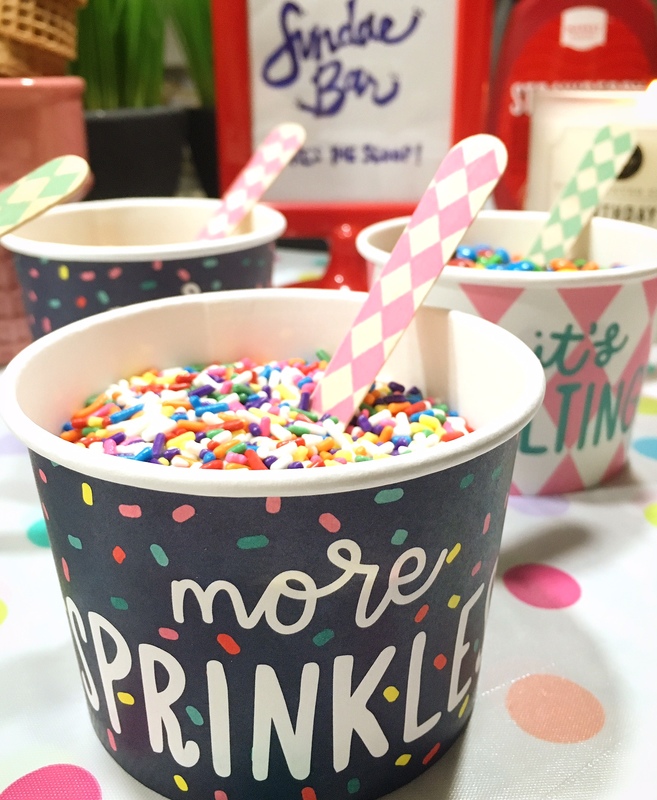 I served sprinkles (… of course! ), mini chocolate chips, rainbow marshmallows, cherries, chopped nuts, gummy bears and mini M&M’s. If you like some extra yummies (which I do! ), then it’s also nice to offer chocolate, caramel, strawberry syrup, and whip cream. It’s also important to consider ice cream cones, and don’t be afraid to mix it up here: sugar cones, rainbow cones, waffle cones/bowls, and anything else that satisfies your taste buds! 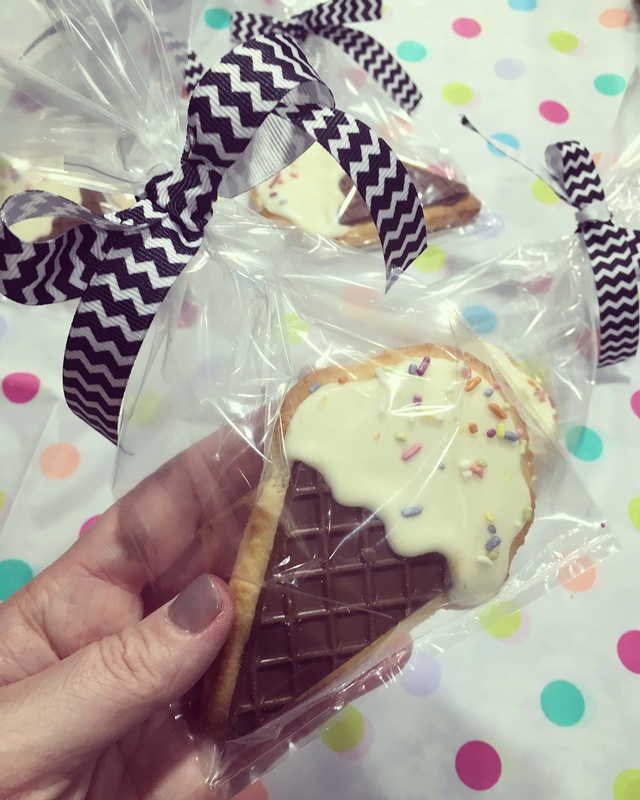 4.GOODY BAGS: I love sending guests home with sweet thank you gifts. 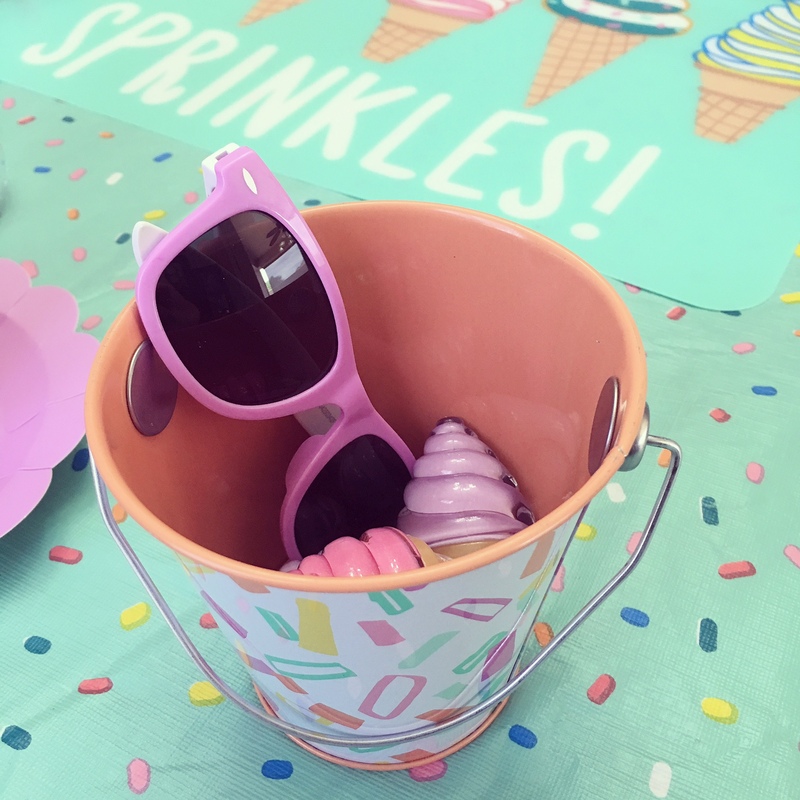 For this party, I started with sprinkle decorated tins and filled them with colorful sunglasses, bubbles, and ice cream shaped lip gloss. BONUS: The sunglasses also doubled as a fun accessory for the photo booth. My favorite touch was the ice cream cone cookies. Thank you Starbucks!!! 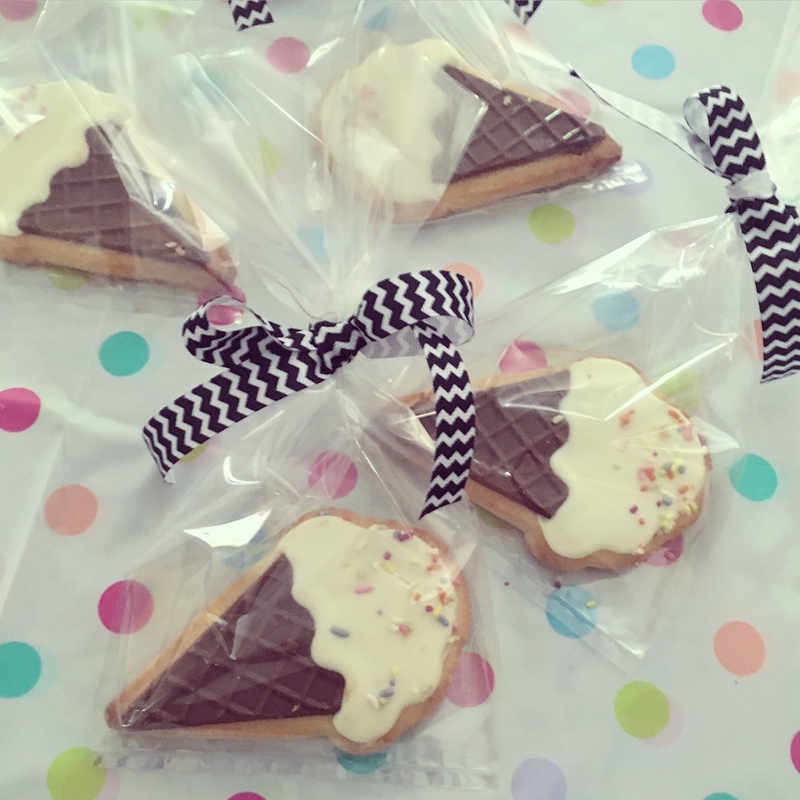 I purchased the cookies and then placed them in clear bags and tied them closed with cute ribbon. Easy and memorable! 5. PHOTO SPOT: Pick a fun spot for a mini-photo booth. 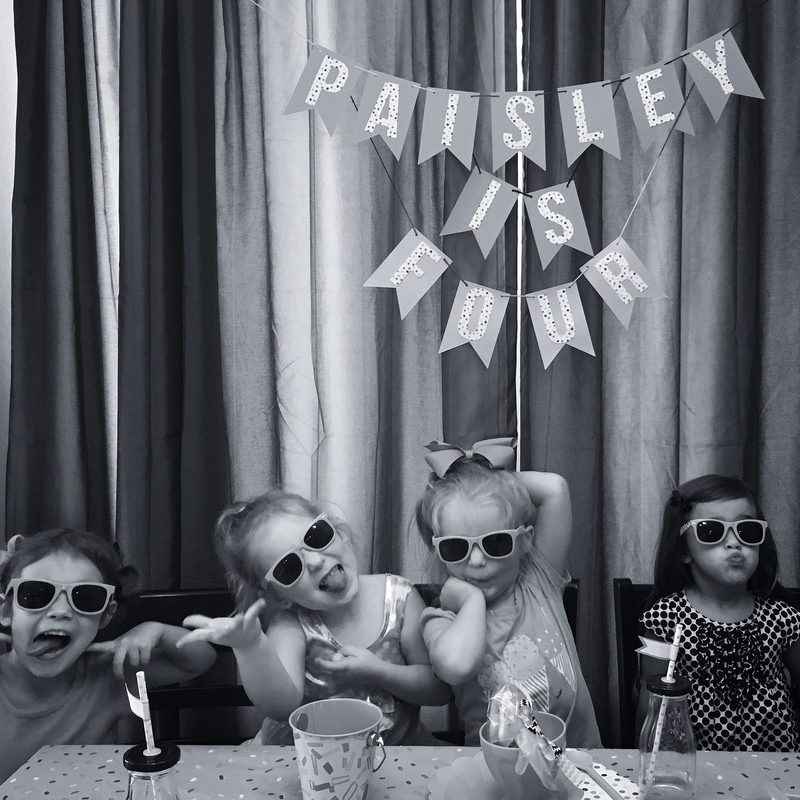 I tied together a banner and added felt letters, and it turned out to be the perfect place for the girls to strike a pose in their matching sunnies! Keep it simple and just have fun! 6.MAKE A WISH: Every party doesn’t need a cake, just get creative with the candle. 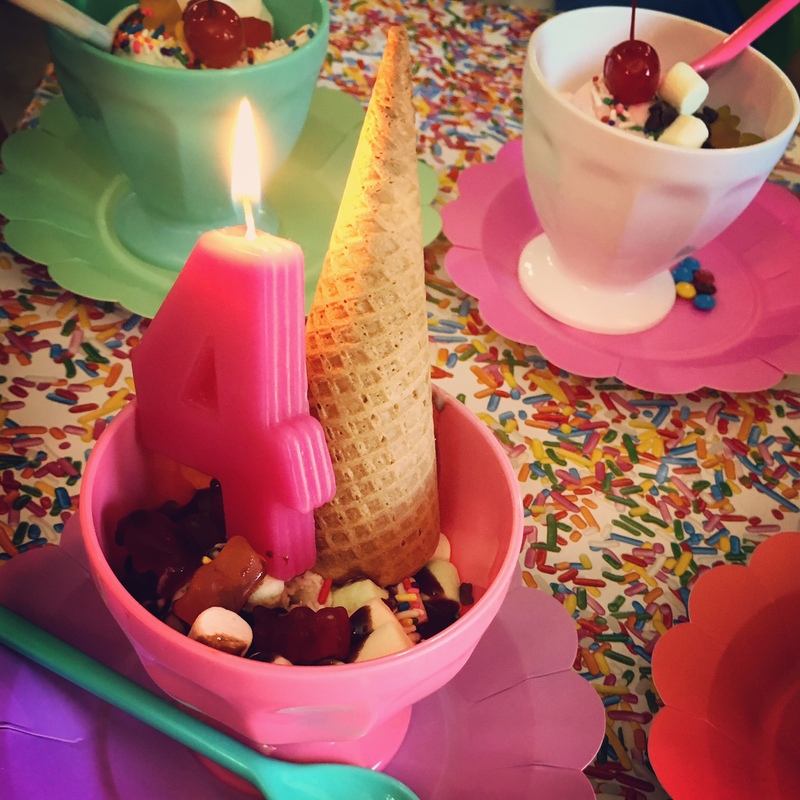 To stick with the theme, I placed the candle in my daughter’s ice cream sundae and we sang to her before everyone dug-in. She loved it, and I loved not cleaning up a half eaten cake at the end of the party! 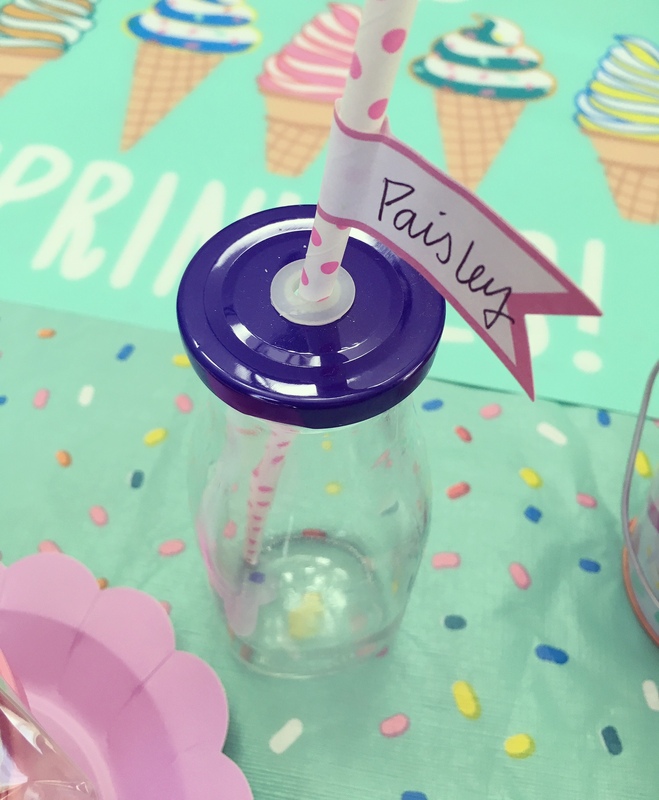 7.ADULT STATION: One thing I have learned about children’s parties is that it is important to offer goodies that are a little more adult friendly; an adult station. 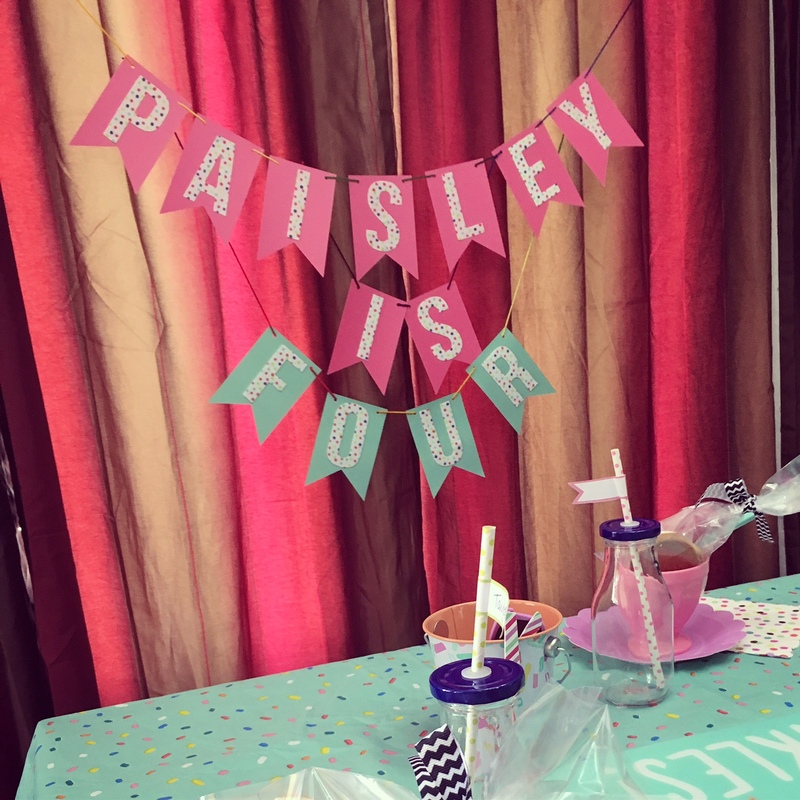 For this party I offered a Sangria Bar as well as cherry turnovers and blueberry muffins… BUT of course we enjoyed a sundae too! 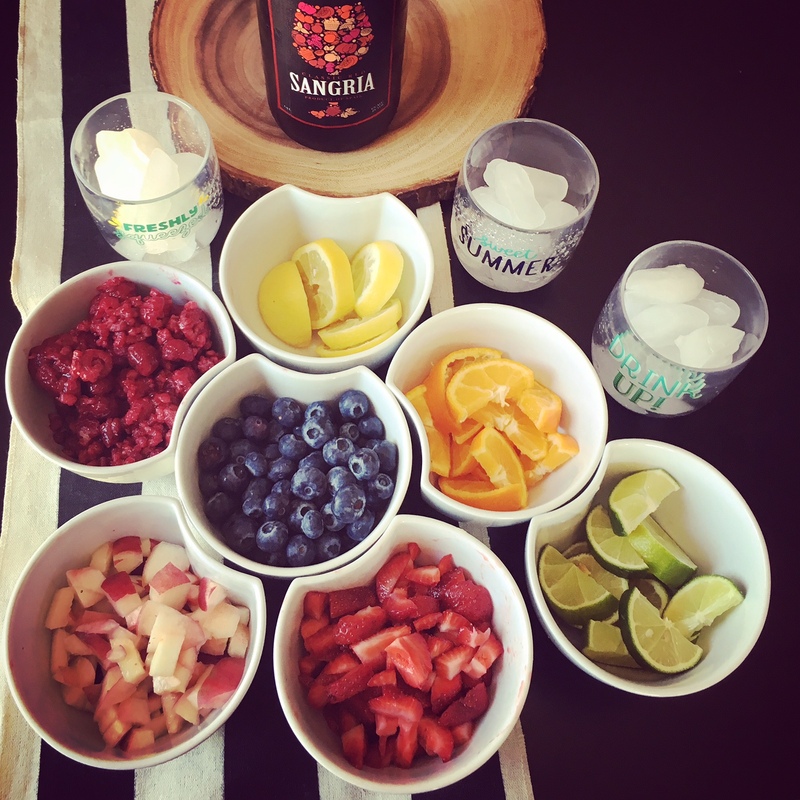 Click HERE for the specifics on how to create the perfect Sangria Bar. 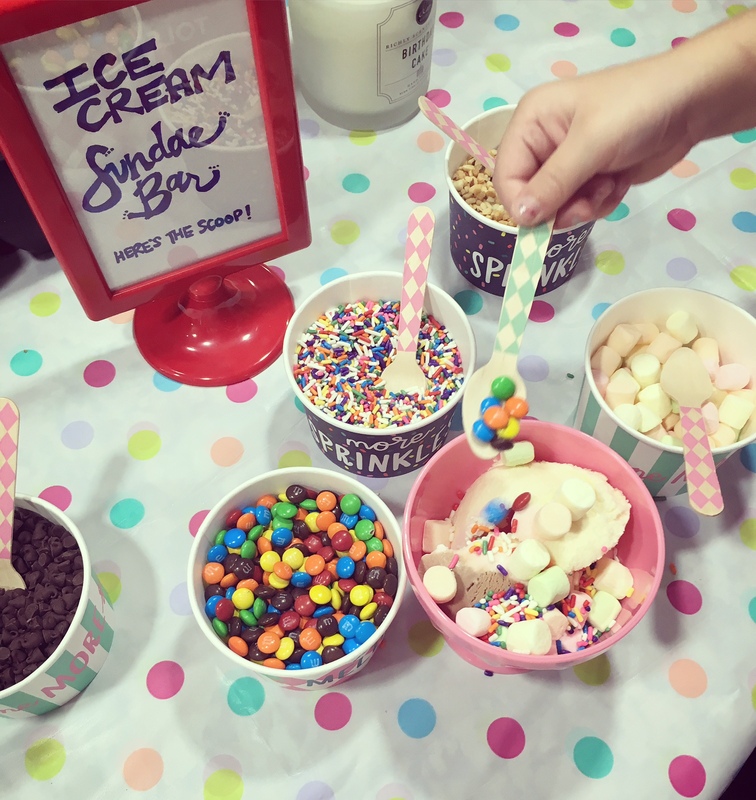 I SCREAM – YOU SCREAM – WE ALL SCREAM FOR ICE CREAM! 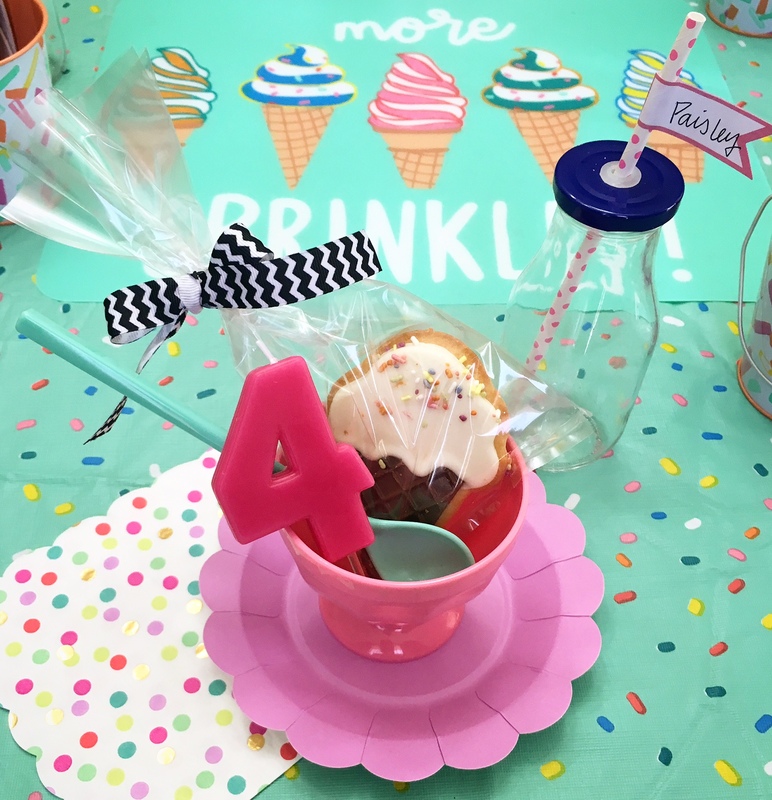 Best wishes on planning your Ice Cream Sundae Party! 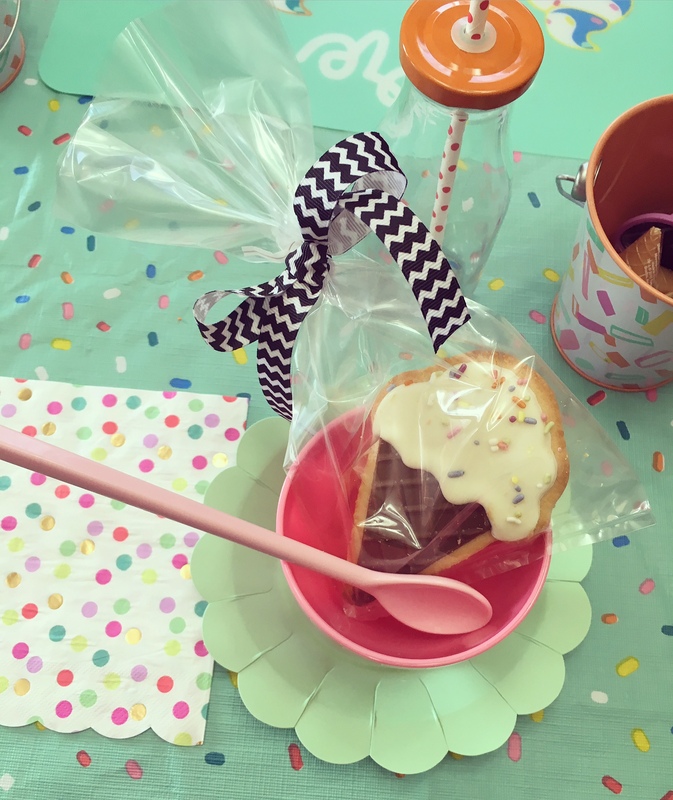 I hope these tips make your special event extra SWEET! This post contains affiliate links. If you decide to make a purchase through my link, I will make a small commission for it. This doesn’t cost you anything additional. These commissions help to keep the rest of my content free. Thank you! Oh my gosh, it is all so darling! 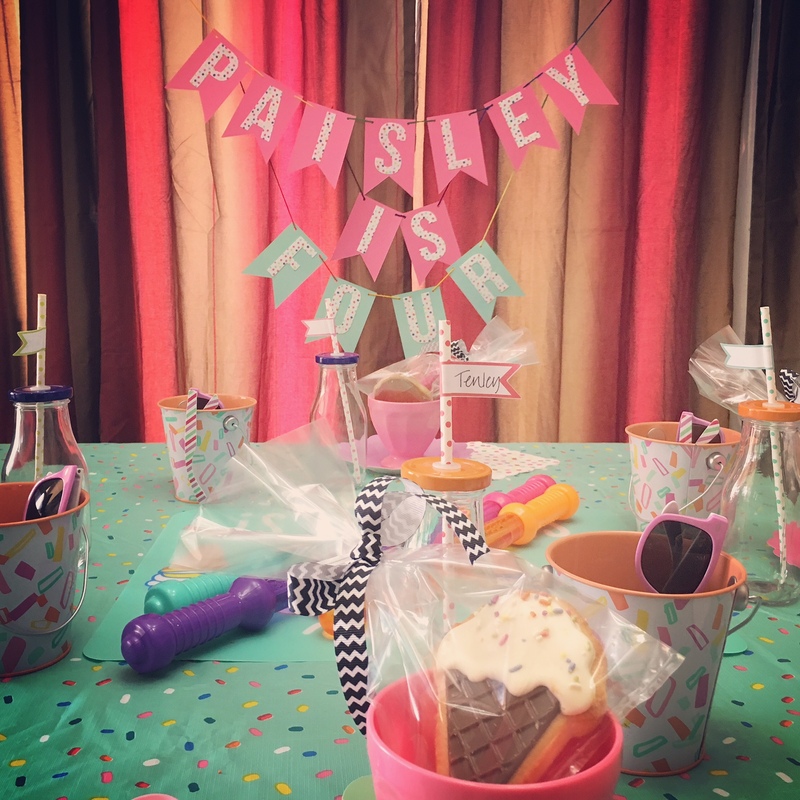 A friend of mine threw an ice cream themed party a couple years ago and I thought it was so fun! Definitely pinning this for the future! This is so cute! I love all the fun colors! Oh how I love this idea! So cute! 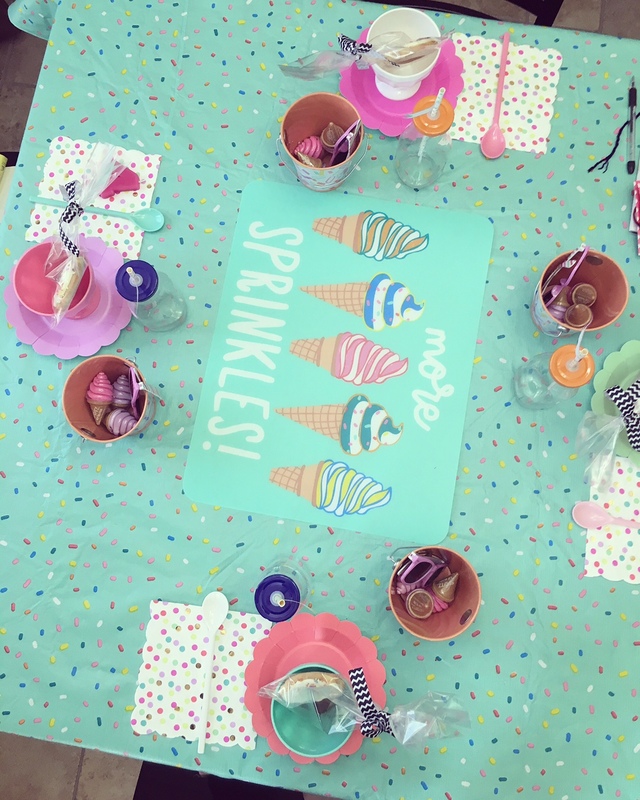 My kids would love this – maybe a back to school party with ice cream too! And YES to the Sangria bar too. Perfect. omg what a fabulous idea! i may need to do it for my daughters birthday next year! WOO and that sangria bar! YUP! This is so cute! 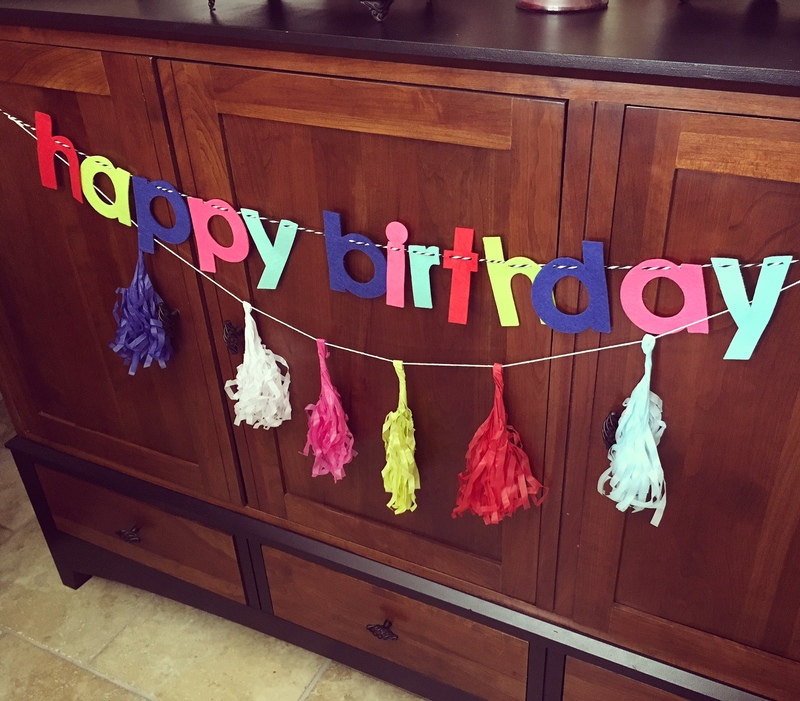 We did the same for my daughter’s 2nd birthday and had Starbucks ice cream cookies too! Aly – Great minds think alike!!!! My birthday is in November. Can you make this happen? Seriously though, this is adorable! I love the colors and the sunglasses! Perfect touches. Hi Kerry – Happy SOON Birthday! Yes – this would be perfect for you! What a CUTE post!! Love this theme! 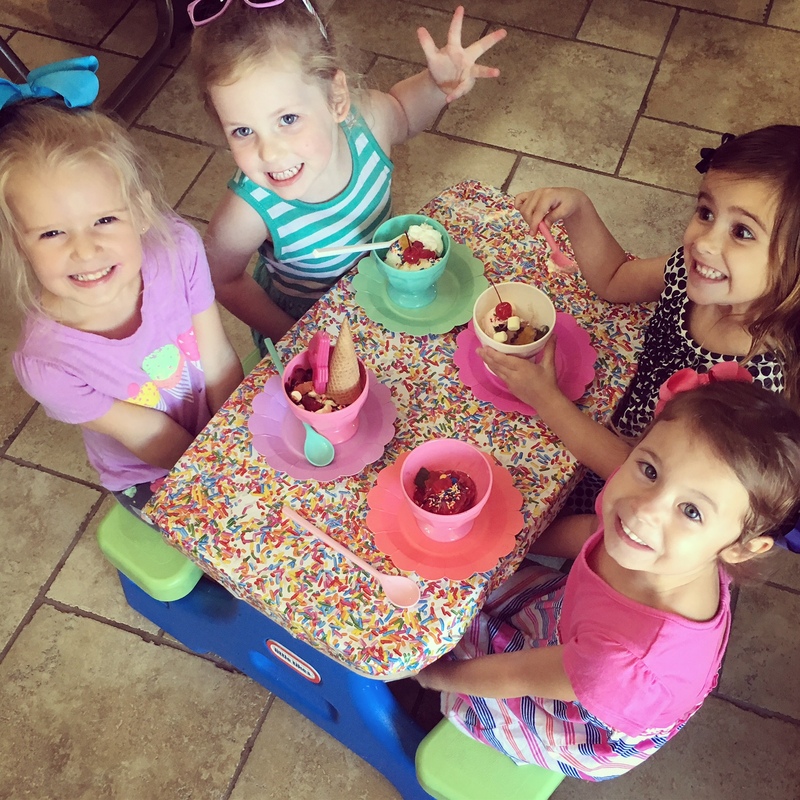 I am dying to know where you got the cute dessert cups from that you used for your toppings! Erica – They are the best! I found them at Target!